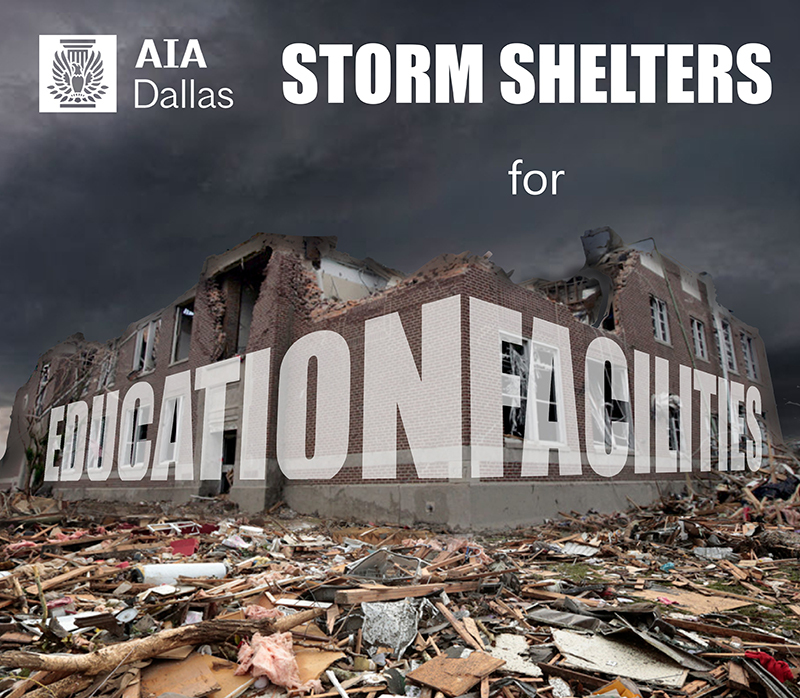 Tornado storm shelters are now an integral component of education facilities for a large part of the country including north Texas. This 5-part presentation brought to you by area experts will cover several aspects of storm shelter design from code requirements, fire safety, structural, mechanical, electrical, and plumbing considerations, and emergency planning. Daniel has extensive knowledge in the industry as a Project Manager/Architect/Quality Leader with over 18 years of architectural and construction management experience in complex building types and large-scale projects from programming through commissioning. Daniel has worked on a wide variety of educational projects of varying size and scope and has successfully completed multiple projects across several market sectors including healthcare, corporate/commercial, industrial, retail, justice, K12 and higher education, aviation, and residential. Daniel’s responsibilities include project management, design, facilitating client, team, and consultant coordination, budget analysis, workload allocation, schedule control and updating, public agency review and compliance coordination, including code reviews. He leads quality control and assurance, PM Framework audits, company initiatives, and accessible design. Additionally, Daniel oversees Stantec’s Storm Shelter Advisory Committee and is a member of the NSSA – National Storm Shelter Association Design Practices Committee. Working now in the private sectors as a workplace safety program developer, Denise Chuick is first and foremost a professional educator. She began her emergency management career as a Licensed Athletic Trainer for large Texas UIL schools being armed with several teaching certificates and an instructor-trainer designation in CPR and AED certification. She jumped into the school safety /risk management arena in 2007, serving as the Safety Coordinator. After achieving the Certified School Risk Manager designation, she completed her Masters of Education in Leadership Administration from Lamar University in 2011. Denise has served as the Safety Officer for a Type III IMT out of the Houston area, trained with the Texas Forestry Service and contracted to write a HS Athletic Stadium EOP. Her last stop before transitioning to the private sector was as a Training Specialist/Project Resource Development Specialist for the Texas School Safety Center. Most extensively, Denise has presented to audiences through Texas as part of TASBO Safe and Secure Schools Research Committee and through the United States as a faculty member for the CSRM designation and National Alliance for Insurance Education and Research. Rick has just completed his 5th year as a Building Official for the City of McKinney and 30 years as a Building Official in the North Texas area. During this 30 years, Rick has acquired the Master Code Professional certification with ICC, which includes certification as a Certified Building Official, Combination Residential and Commercial Inspector, Plans Examiner and Fire Inspector level II. Rick also holds a Texas Master Electrical license, a State Plumbing Inspector license and a TREC Real Estate Inspector license. Ben is an engineering ‘Super Freak,’ with an uncommon breadth and depth of knowledge that we apply to multi-disciplinary engineering challenges (including Tornado Shelter design). As Huckabee’s Vice President of Engineering, Ben defines our architectural processes of collaboration with engineering consultants. He is also Chair of a national disaster investigation program, participates in building code committees and is an author, speaker and recipient of numerous awards. Mike graduated from the University of Texas at Tyler in 1999 with his B.S. in Mechanical Engineering. He has over 24 years of experience in MEP systems design. Since joining EMA in 1994, he has served as a Design Engineer, Project Manager, Director of Construction Management and Key Client Manager on 100’s of projects. As President/CEO, Mr. Clendenin is responsible for the overall direction and vision for EMA. He is committed to bringing value to clients and providing high quality MEP design services that Architects and Owners can rely on. Areas of expertise include complex MEP systems design, construction management, customer relations, budget planning and business operations organization. DART's St Paul Station is in front of One Dallas Center where HKS is located.